and the purpose that they have because of this. QR codes and URLs in the Bible link to videos on these topics and other online faith-building content. 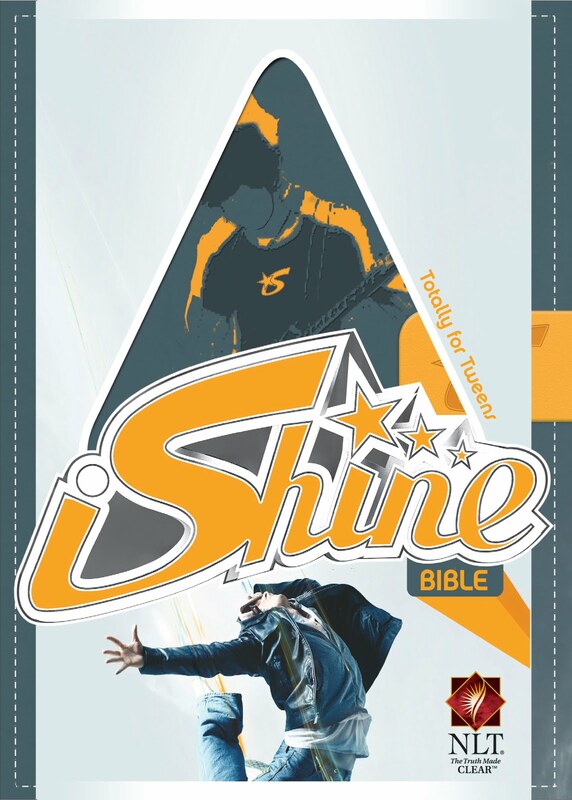 This compact Bible for tweens brings together the popular Christian tween brand iShine with the clearly understandable New Living Translation. The iShine Bible answers questions relating to many of the issues that tweens face with a tween-friendly index. I received both the girls and the boys versions to review. The girls comes in a pink with a few flowers and the boys is blue and orange with a skateboarding figure. The covers are perfect for tweens - it's got a certain coolness about it. My daughter is almost 8 and she loved it! She was excited to get a new Bible and it being pink was even better. I put the boy one away and will give it to Matthew when he is older. It's a very unique product as it has so much technology involved with it....with that I mean it has the QR codes (which I've never used but those folks with smartphones will know what I'm talking about) and all the links to go online and learn even more. It really was a wonderful idea - combine tweens love of all things techy and the Bible. I'm thinking this could be a wonderful thing!